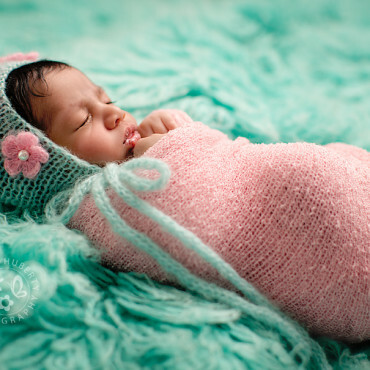 See more examples of our swaddled newborn work. 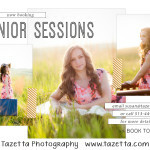 Tazetta Photography is excited to offer SIMPLY SWADDLED sessions this year! This is a shorter version of our popular newborn session for parents who want us to capture just a few great images of their brand new baby. The shorter format means savings! 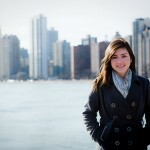 The session fee is just $100 (this is $150 in savings versus the regular newborn session). So what is a SIMPLY SWADDLED session? What does it include? How does it differ from a regular session? For an overview of all three of the newborn photography session types Tazetta offers, check out our newborn page. 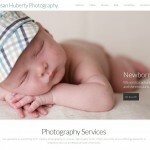 A SIMPLY SWADDLED session is simply a shorter version of our regular newborn photo session. Most full newborn sessions can last anywhere from three to four hours. The reason they last so long is to allow plenty of time for feeding and comforting while we wait for baby to fall asleep. Our regular newborn sessions include mostly images of sleeping babies either naked or in a newborn outfit curled up into adorable poses. It takes a lot of practice and patience to get everything just right. Although the results are well worth it, sometimes families want a shorter session with a smaller session fee. A SIMPLY SWADDLED session allows families to get in and out of the studio more quickly, spend less on the session fee, and still walk away with amazing images in the end! A SIMPLY SWADDLED session generally lasts about one hour. In a SIMPLY SWADDLED session, the baby is wrapped from the very beginning and stays wrapped for the entire session. Babies love to be wrapped! It actually helps them feel warm and secure. Keeping them wrapped works well for a variety of reasons. It saves time not having to get baby in and out of outfits. Diapers are kept on and so there are no accidents to take time to clean up. It also eliminates the time usually spent feeding, soothing, and waiting for baby to fall asleep. Whether they remain awake in their wrap, or fall asleep, we can get some adorable images. Parents tend to really love the wrapped and awake poses. Since this session does not include any unwrapped or naked poses, it’s quicker and easier to transition the wrapped baby from one setup to another. These are just some of the reasons we can get a good variety of images in less time. 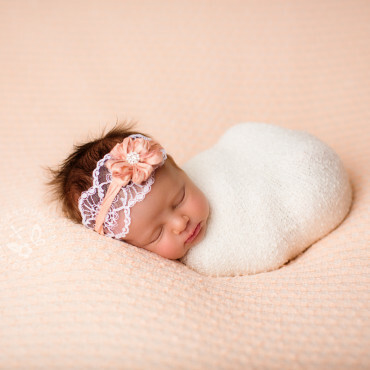 A SIMPLY SWADDLED session can include poses of baby wrapped in a bed, basket, or bowl, or on a blanket. We will do up to three setups, as time permits! Of course, within each setup, we will photograph different angles and different details and switch out accessories (hats, bonnets, headbands). There are also different ways to wrap babies and it’s usually possible to layer different wraps for smoother transitions. It is definitely possible to get a nice variety of images in these shorter sessions! A SIMPLY SWADDLED session still includes Tazetta Photography’s full service experience! You will still fill out the online questionnaire, enjoy either a phone or in-person planning appointment, the session with the props and studio amenities, the reveal and ordering appointment, and the delivery of beautiful heirloom art. Please note, as with most of our other sessions, that the session fee does not include any prints or products. 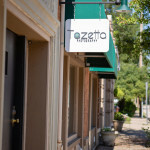 Tazetta uniquely believes in offering a truly custom experience and both may be purchased separately a la carte. We’d love to hear from you to answer your questions or discuss your interest in booking a session. You can also find more information about our offerings on our general services page.